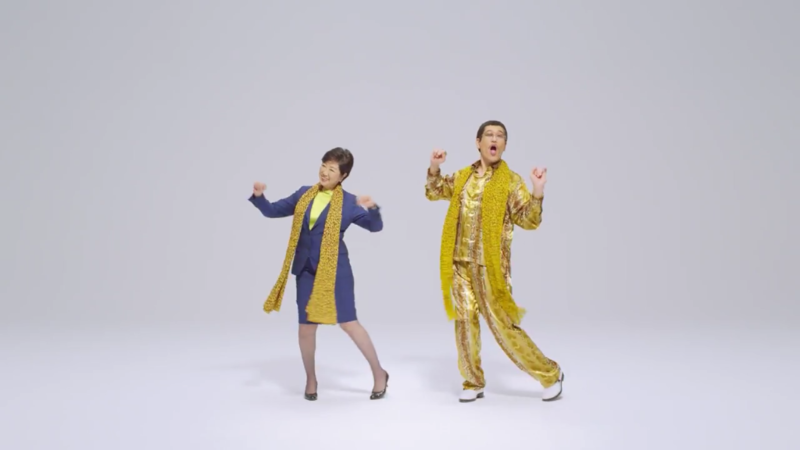 Still riding the coattails of viral smasher “PPAP (Pen-Pineapple-Apple-Pen)“, released as a music video 9 months ago on YouTube on August 25 2016, comedian singer-songwriter Pikotaro has teamed up with Tokyo governor Yuriko Koike to promote energy conservation. Through July 10, in this new campaign all Tokyo residents will be able to receive 1 LED light bulb when they bring two or more incandescent light bulbs to local electronic stores. “I’ll forward this video to Justin Bieber,” says Pikotaro.